Hosted by Dickie Davis formerly of ITV’s World of Sport. 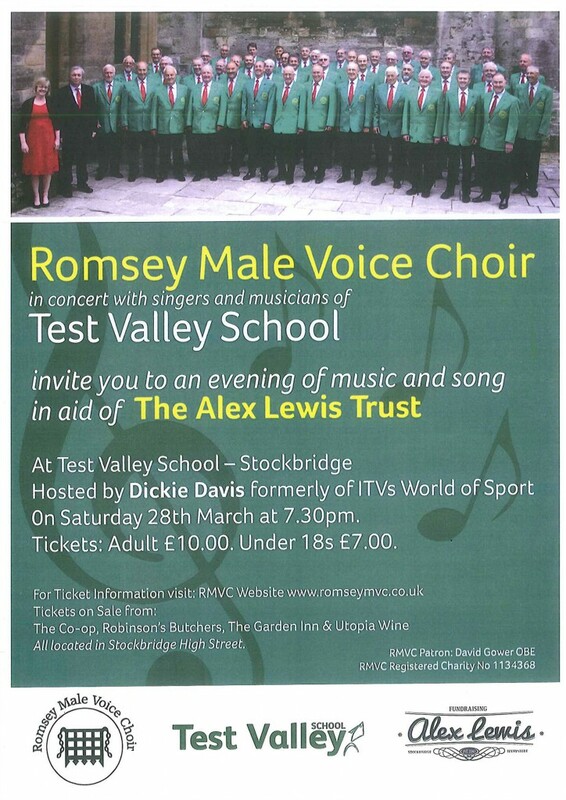 On Saturday 28th March at 7.30pm. Tickets: Adult £10.00. Under 18s £7.00. For ticket information see the RMVC Website. Tickets on sale from: The Co-op, Robinson’s Butchers’, The Garden Inn and Utopia Wine, all located in Stockbridge High Street.